Sela Ann Ward, born July 11, 1956 in Meridian, Mississippi, United States is an American movie and television actress, perhaps best known for her television roles as Teddy Reed on the American TV series Sisters (1991-96) and as Lily Manning on Once and Again (1999-2002). Ward was born in Meridian, Mississippi, the oldest of four children of Annie Kate (née Boswell), a housewife who died of ovarian cancer on February 12, 2002, and Granberry Holland "G.H." Ward, Jr., an electrical engineer who died on January 13, 2009. She has a younger sister, Jenna, and two brothers, Brock and Granberry (Berry) III. While working in New York City as a storyboard artist for multimedia presentations, the 5'7" (170 cm) Ward began modeling to supplement her income. She was recruited by the Wilhelmina agency and was soon featured in television commercials promoting Maybelline cosmetics. Ward eventually moved to California to pursue acting and landed her first film role in the Burt Reynolds vehicle, The Man Who Loved Women, released in 1983. Her first regular role in a television drama series (as a beautiful socialite on Emerald Point, NAS) followed in the same year. Ward subsequently played variations on the same character in films and television guest spots throughout the 1980s, most notably opposite Tom Hanks in 1986's Nothing in Common. This pattern persisted until she aggressively pursued and won the role of the bohemian alcoholic Teddy Reed on Sisters, for which she received her first Emmy for Outstanding Lead Actress in a Drama Series in 1994. Ward won a CableACE Award for her portrayal of the late television journalist Jessica Savitch in the 1995 TV movie Almost Golden: The Jessica Savitch Story. But capitalizing on her accolades proved difficult as they coincided with a surge in films and programming marketed primarily at teenagers. At the age of 39 Ward was passed over for a Bond girl role, learning that even though then-Bond Pierce Brosnan was 42, the casting director said "What we really want is Sela, but Sela ten years ago". In response, she developed and produced a documentary, The Changing Face of Beauty, about American obsession with youth and its effect on women. Later on, Ward would voice the part of former model turned villain Page Monroe in an episode (Calendar Girl) of The New Batman/Superman Adventures. In 2004, she played the role of a private investigator, Bobbi Bacha of Blue Moon Investigations, in the TV movie Suburban Madness, the story of a dentist who ran over her cheating orthodontist husband with her Mercedes. The same year, she also appeared in the hit movie The Day After Tomorrow. In 2005, she began a recurring role in the Fox dramatic series House as Stacy Warner, the hospital's former attorney, who also happens to be the ex-partner of the protagonist, Dr. Gregory House (played by British actor Hugh Laurie). The Stacy Warner character has since been written off the show. Ward was originally offered both the role of Megan Donner on CSI: Miami and Susan Mayer on Desperate Housewives, but turned both down. The parts later went to Kim Delaney and Teri Hatcher, respectively. Ward says she does not want another lead role in an hour-long series due to the time away from her family it would require. She developed and produced a pilot for a half-hour situation comedy (in which she would also star) for CBS' 2006 season but it was not selected by the network for its roster. Since May 23, 1992, Ward has been married to Howard Sherman. They have two children, Austin (born 1994) and Anabella (born 1998). After meeting two foster children during a holiday trip home to Mississippi in 1997, Ward decided to meet a broader need for abused and neglected children by initiating and partially funding the creation of an emergency shelter for those awaiting placement in foster homes. Housed on a 30-acre (120,000 m2) property once used as a Masonic owned and operated orphanage, the Hope Village for Children opened in Ms. Ward's home town of Meridian in January 2002 and is intended to serve as a pilot for a nationwide network of similar shelters. Hope Village currently has a capacity for 44 residents and serves an average of 200 children per year. A business district portion of 22nd Avenue in Meridian (from 6th Street to the Interstate 20 highway interchange) has reportedly been named the "Sela Ward Parkway" in Ward's honor. 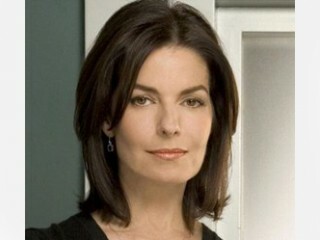 View the full website biography of Sela Ann Ward.